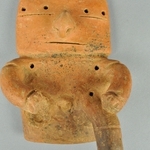 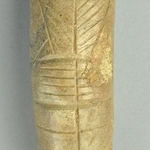 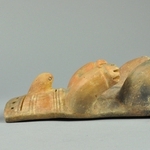 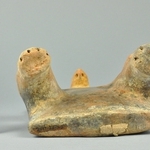 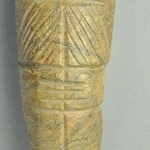 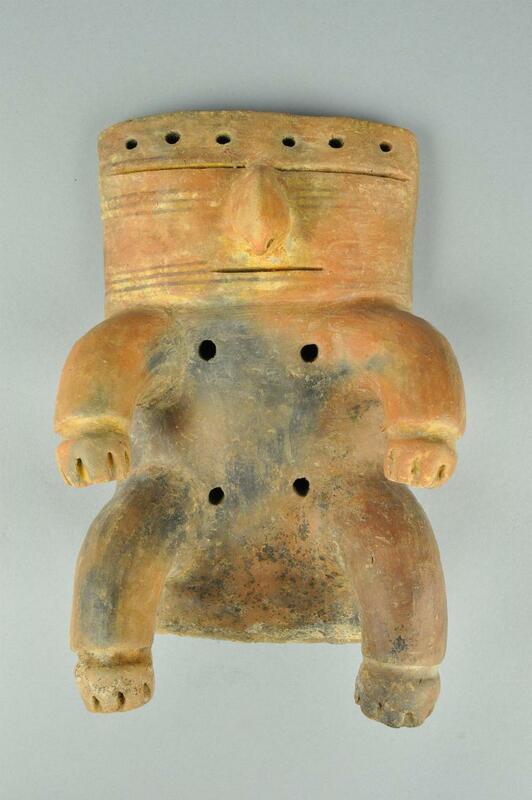 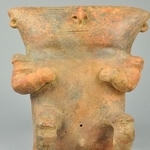 Clay seated male figurine, flat with square head and body, simple down curved arms and legs. 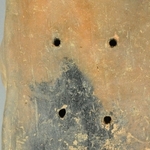 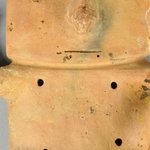 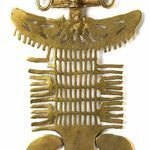 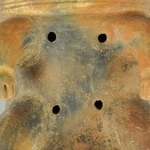 Holes across headdress, at torso, and upturned hand. 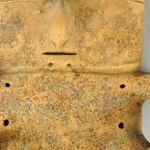 Raised nose. 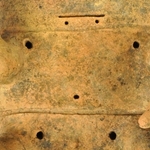 Straight mouth.